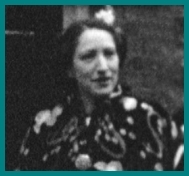 • Anja Meulenbelt (1945) is een Nederlandse schrijfster. Op haar website houdt ze een dagboek bij. Gisteravond in de Balie hoorden we na afloop van de discussie dat het kabinet was gevallen? Echt gevallen? Ik geloof het pas als ik het lijk zie. Echt gevallen, zeiden ze. Daar namen we maar een extra drankje op. Wat dat op gaat leveren is maar weer de vraag, ik keek meteen naar de stand in de prognoses, PvdA 42, SP 17, Groen Links 11, dat maakt 70, tegenover CDA en VVD samen 69. Als we vervroegde verkiezingen krijgen gaat dat nog spannend worden. Maar hoe dan ook, Verdonk nu eindelijk eens gestruikeld, mede geholpen door een blundertje van Balkenende en dat is feest. Ik blijf vooral in contact met Gaza en houd mijn hart vast. Niet alleen dreigende nieuwe invasies, maar nu ook de echte noodsituatie. UNRWA waarschuwt ook. Fatma laat het weten: groot deel van Gaza zonder elektriciteit. Dat is voor gewone mensen in de zomer als het lang licht is nog niet zo erg, maar het is erg omdat een groot deel van de waterleiding en de riolering ook op elektriciteit loopt. Vooral voor de ziekenhuizen, Trees schreef dat al, is dat een ramp. De benzine voor de generatoren is over een paar dagen op. We are suffering too much at the moment of lack of electricity , water, as you know all water resources are working by electricity. The majority of Gaza strip is completely dark and as you know we are in summer that caused spoiling of a lot of food in refrigerators. But the main problem is in hospitals where the majority of it dont have electricity generator, and there is real problem in food especially the milk of the children and medicaments , yesterday I called the pharmacies asking about milk for the children who are under weight but I did not find. In addition the completely closure of Gaza all the passengers are waiting at Rafah entrance, there are a lot of children, women, children and patients. Of course they are bombing non stop. They attacked houses, and the bridges that connect Gaza city and other cities and night attacking with bombs. Of course you can imagine the pressure and the tension and scare that we and our children passing through, imagine no body at the sea shore, and as you know in this time it have to be too much people at the sea shore because it is hot and summer holiday. Most of the people at night are sitting in the streets because of the high temperature especially men and children. This is brief description of the situation in Gaza. Had a daie to have lunch wilh Truman and his boyfriend Bob MacBride to discuss Interview. Cabbed 10 La Peiitc Marmite which is on 49lh in the Beekman Towers ($4). Truman said he's starting to be normal again and when I believed him he told me I was (laughs) "too naive." Truman was throwing his hands all over the place. I taped, and we dished the whole lunch. He said that after lunch he was going to his analyst and I asked why someone like him would go to an analyst and he said because it was an old friend and he didn't want to hurt his feelings by not going. Truman is so silly-looking, open-toe shoes and no sweater, and he said he just decided that he's going to start wearing anything. He said that Issey Miyake sent him a coat and he just threw it on immediately— he was written up in the papers when he wore it to Studio 54 with a white hat. We had lots of drinks and it was fun, and then it got down to what Truman had invited me for. Bob MacBride who he always said was a writer but who we could never figure out what he did is now doing sculpture. He's left his wife and kids. We went back to Truman's place in U.N. Plaza. He's redecorated, but the bulldog's torn off the buttons and the fringes hom the furnilure. And Bob MacBride brought out his—toys. His art. It was little cut-outs, like you make in kindergarten. You know? Like circles, and then you paste another circle over it, and you make hexagons and things. That's what he does. And they wanted me to help him get a gallery. I said he'd just missed Leo Castelli, that he just went out of town, but that when he got back we'd make a lunch for Leo and him, and Leo will think that's fun—lunch with Truman Capote. 1 told Truman I would tape him and we could write a Play-a-Day, he could act out all the parts himself. (laughs) He could really do it—play his grandmother and everything. He gave me all the din, we dished Lee and Jackie. Lee's got a new really rich boyfriend in San Francisco, that's why she's spending time there. Truman said the Ladies' Home Journal offered him $10,000 to review a movie but they wouldn't teil him which one it would be, and then he found out it was The Greek Tycoon so he turned it down. I think Truman likes me because I like everything he doesn't. He's so nuts, you're embarrassed sitting there with him. And he's always talking about how he's gelling a hundred thousand for this and a million for that, but who knows. He was thrilled, he said, with his Tom Snyder show a couple of months ago, thought it was really one of his best. I don't know why he doesn't go on The Gong Show. Home to glue. Then picked up Catherine and went to Doublés to get the bus to see Lucie Arnaz opening in Annie Get Your Gun out at the Westbury Music Fair. Barry Landau was in charge, and I think he (laughs) invited all the people in his apartment building. I really think he did. People were going in for drinks and Gary Morton couldn't get in because he didn't have a tie. The doorman was so dumb, I told him, "Don't you know that's Mr. Lucy?" Lucille Ball looks so old but she has a beauliful body, and she really was a beauty. On the ride out, Bill Boggs did some announcing, and then Gary Morton did some announcing, like, "Here we go by a garbage can," things like that, and finally after an hour and a half we arrived. The place looked empty, but then when they saw Lucy, every old lady in a pantsuit came swarming. God, why do Americans dress so bad? Do they want to look unattractive so they won't get raped, or what? When did it start? But Lucie Arnaz was good, and I just love Harve Presnell, he's the one I always really loved. He's 65" and Tammy Grimes had an affair with him. The show was really long, 1 don't know why. Oh, a woman came up and asked for my autograph and she said, 'Tm Gloria DeHaven," and I looked at her and it was. So I think maybe there were a lot of old stars that you just couldn't teil. A kid was throwing up, and it was funny because we all just stood there and watched him. I can't go to bed without writing about the scare we had today. Everybody says it was a miracle, and it was. Yesterday we went to celebrate S. João's and Uncle Joãozinho's day, in Boa Vista. There was a bonfire and fireworks, but very few people because the new cabin isn't finished yet, and there wasn't much excitement. Today we were sitting in front of the house, the whole family, on some boards that Uncle Joãozinho had put there for benches. We were praying. As there isn't any oratório here, Dindiriha said that we could pray just sitting by the door. She told her rosary and when she'd finished she wound it around her arm. Then she took out the litany and we all gave the responses. We continued to talk and enjoy the moonlight. Dindinha, thinking that the rosary feit very cold, looked to see what it was. She gave a scream and shook her arm, throwing something off, saying, "It's a snake!" The moonlight was like day. We went to look; it really was a snake and Seu Manuel Camilo killed it. How can you explain that the snake didn't bite Dindinha? It really was a miracle. Never have we found so many snakes at Boa Vista as we're finding now. This is already the second one. My uncle says it's because he didn't cut the grass around the house. We came here before the big cabin was finished, because it was my uncle's birthday which falls on St. João's day. He had two bedrooms covered over in a hurry, with thatch, to put us up. I like everything all mixed up the way it is very much, and think it's very funny. The old cabin is very small. It only has one bedroom for my uncle and papa and a smaller one for Siá Etelvina, the cook. She does the cooking and we go there for breakfast, lunch, and dinner. Siá Etelvina is a fury. She's furious when we're here because she has twice as much work. This time, besides the aunts, five cousins came, and Zulmira. She can never make enough food for us. Today even Zulmira stole a can of sardines that my uncle keeps on the beams in his room. The new house is all open and hasn't any doors. My uncle put some boards in the living room for the boys, and we sleep with the aunts, all together in the bedroom. It's awfully funny. The only thing that bothers us is Siá Etelvina who, if Uncle Joãozinho didn't go into the kitchen to look into the pans, would starve us to death. The new house is in the loveliest spot and near some gabiroba bushes; you step out of the door and there are the gabirobas. Today we were all in front of the house, sitting on the boards, with Ester sitting on an ant-hill. My father, who always has a stick in his hand, was sitting in front of Ester. Without calling any attention to himself, he got up silently and suddenly hit the head of a jararaca that was getting ready to strike at Ester's foot. If anyone else had seen it, he would have screamed, and Ester would have stepped on the jararaca. But because it was papa, who is the calmest man in the world, he struck it right on the head and killed it. 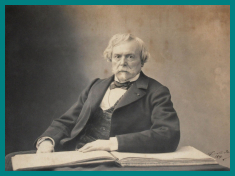 • De Franse dichteres Louise Colet (1810-1876) had lange tijd een verhouding met schrijver Gustave Flaubert (1821-1880), die haar vele, vele brieven schreef. Het bovenstaande fragment is afkomstig uit Colets dagboek, en is opgenomen in Gustave Flaubert: De kluizenaar en zijn muze. Brieven aan Louise Colet [vertaald door Edu Borger]. Toen hij [Flaubert] opstond om te vertrekken, barstte ik in snikken uit en ik zei: ‘Wij zien elkaar misschien nooit meer.’ – ‘Waarom?’ hernam hij, ‘ik heb u gezegd dat ik u op zal zoeken, daar kunt u op rekenen.’ Ik kuste hem hartstochtelijk; hij kuste mij ook, maar hij was zichzelf steeds meester. Ik wilde tot de laatste boulevard van de stad met hem meelopen. Om geen onaangename indruk bij hem achter te laten probeerde ik vrolijk te zijn en met hem over dingen te praten die hem konden bevallen of interesseren. Wij zijn drie keer blijven staan en zeiden dan ‘wij moeten afscheid nemen’ en telkens kuste ik hem en zei: ‘Tot de volgende lantarenpaal.’ Het was een schitterende nacht, de sterren straalden en het rook lekker in de buitenlucht. Tot slot heb ik hem nog inniger omhelsd, hij beantwoordde mijn liefkozing en onze laatste woorden waren tot ziens. Ik wandelde terug naar het hotel; onder het lopen doemde de herinnering aan Croisset [het huis van Flaubert], waarvan de deur voor mij, voor mij... gesloten bleef, als een belediging, als een felle pijn weer in mij op. Zolang hij bij me was, was mijn enige gedachte hem te beminnen, de herinnering aan het verleden in hem wakker te schudden. Ik ging langs het hotel, nam plaats in een rijtuig en arriveerde om middernacht op het station. Om half zes ‘s ochtends was ik thuis. Vanmiddag op het terras van Hoppe zag ik Dini en John zitten, die ik kende van de vorige keer dat Johannes in Amsterdam was. We hadden ze toen ontmoet in Hoppe, waar ik met stijgende verbazing naar de verhalen van Johannes had staan luisteren. Dini had ongelooflijk veel schik in zijn gescharrel met de verpleegsters. Ik moest zelf ook steeds meer lachen, vooral om die krankzinnige herhalingen van hem, heel indringend en doodernstig: "Was het een mooi meisje? Was het een mooi meisje?" of: "Heb je met hem geneukt? Heb je met hem geneukt?" - om daarna uit te barsten in een hinnikende en snuivende, natte lach. Niet echt smakelijk, maar wel persoonlijk. Enfin, Dini vroeg die keer of we 's avonds langs wilden komen; ze hadden "heel vervelende visite". Johannes en ik ontmoetten elkaar in Hoppe, dronken een paar pilsjes en gingen naar Dini. Nogal luidruchtig vielen we de kamer binnen, waar de visite (meneer en mevrouw Jansen) in volle gang was. Bij het voorstellen was het al meteen raak. Als je wat op hebt, is zoiets oergeestig. Johannes en ik namen met achteloze onbescheidenheid het gesprek over. De Jansens, aanvankelijk wat verbouwereerd, begonnen Johannes algauw gewoon als gek te beschouwen en kregen er ook plezier in. Op een gegeven moment wendde hij zich in paniek tot Dini. "O God, ik had vanavond een afspraak, ik zou nog neuken, maar ik heb mijn condooms laten slingeren." "O, neem mijn badmuts maar zolang." Het werd een dolle avond. Maar goed, vanmiddag. Geroddel van Dini over mevrouw Jansen (Beppie). Die is ook niet helemaal snik. Ze was ziek, moest het bed houden, lag met een catheter in een caravan ergens bij Weesp (Weesp, omdat haar man, Bram, daar zijn visstek heeft). Dini op bezoek, achter op de scooter bij Ronnie Duif, kortweg "Duif". Zodra Beppie Dini zag: "Wat ont-zét-tend aardig om te komen. Echt heel lief. Vertel eens: wat wil je drinken?" Zelf was ze al hartstikke lazarus. Duif werd naar de keuken gestuurd om cola en cognac te mixen. Op dat moment komt Bram binnen, met zijn hengel, en ziet een wildvreemde kerel in de keuken. Duif, ook met helemaal nuchter meer, zegt met olympische eenvoud: "Dag." "Dag meneer, mijn naam is Jansen." "O, dan zal het wel goed zijn." "Wilt u ook wat drinken?" "Ja, een cola zónder cognac graag." Duif geeft hem een glas, 1/2 cognac, 1/2 cola. De man slaat het in één teug achterover. "Geef me nog maar zoiets, maar dan met cognac erin." Zo ging het een halfuur door, totdat iemand in de gaten had dat Beppie met schuim op de mond in bed lag te schokken. "O niks, dat komt van het lachen." "Waarom veeg je je mond niet af?" "Bram heeft vergeten zakdoeken te halen." De Jansens hebben een tweeling van 9, een jongetje (Brammetje) en een meisje (kleine Beppie). Brammetje bakt de hele dag koekjes voor zichzelf en voor zijn zusje, anders hebben ze niets te eten. Een keer zat hij in bad een plastic bootje met een slangetje voort te blazen; dat was het urineslangetje van Beppie. Dini vroeg: "Waarom geef je die jongen dát?" "Och, hij vroeg een slangetje, en ik had zo gauw niks anders bij de hand." Kleine Beppie komt klagen bij haar moeder: "Brammetje maakt elke nacht een nummertje met me." "Ach, gekkigheid, ga jij maar weer op straat spelen." Als Bram thuiskomt: "Wat doe jij 's nachts met je zusje?" "En wat doe je dan?" "Nou, gewoon, dan steek ik mijn piemel in haar kut." Brammetje, die nogal klein van stuk is, wordt op school veel door de meisjes geplaagd. Als dat gebeurt, zegt hij: "Pas op hoor, ik steek mijn vinger in je kut." Beppie: "Waarom zeg je dat?" "Dan worden ze allemaal bang." Ik moet bekennen dat ik dit soort verhalen bij Hoppe niet eerder had gehoord. Morgen naar Brussel voor Caltex-film. • Christopher Isherwood (1904-1986) was een Britse, in de VS wonende schrijver. Hij hield het grootste deel van zijn leven een dagboek bij. June 24. The day began badly because I flew out and shouted at the kids, who were spraying water from the Hines' hose over the Simca. Not much water - that didn't matter - but the noise disturbs me when I'm working, it threatens me with not being able to work if I want to. I heard Mrs. Hine reproving the kids later. Of course she thinks I'm an old prissy ill-natured queen, and let her, with all my heart, ïf it makes her keep her children away! Also — after a mild debauch yesterday: a glass of sugary lemonade (no, two!) and a tiny rock cake at the Thurlows', a glass of wine at Jo and Ben's and a cookie and a large helping of fish — I was back to 150. All that self-denial wasted! But, courage! The children left me fairly alone all day. I rearranged the whole sequence of the restaurant scène in my novel, reopened my unemployment insurance claim, and kept the calories low. Bart Lord called up with a long tale of woe. He must break with Ted, who continues to shoplift and who isn't interested in Bart's new house - which he's going to buy in the Valley, to get "security". Of course, Bart is shallow [...] from one viewpoint. But the fact remains that only a St. Francis of Assisi could handle Ted. You'd have to sacrifice everything - maybe get yoorself arrested for shoplifting. Whereas Bart doesn't even want to give up listening to classical records, which Ted hates. And am I any different? • John Adams (1735-1826) was een Amerikaanse staatsman en de tweede president van de VS. Gedurende enige jaren was hij ambassadeur in Nederland. Hij hield gedurende een groot deel van zijn leven een dagboek bij. THE HAGUE JUNE 22. 1784. TUESDAY. Last night at Court one of the Ladies of Honour, told me, that the Supper was given, in a great Measure, for Mrs. Bingham. Cette Super a t donne, en grande Partie, pour elle. 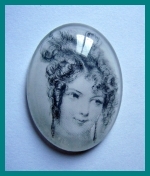 There was great Enquiry after her, and much Admiration expressed by all who had seen her, of her Beauty. As the Princess of Orange was enquiring of me concerning her, and her journey to Spa, Paris, Italy, the Spanish Minister said "She would form herself at Paris." I replied very quick but smiling "J'espere qu'elle ne se formera a Paris qu'elle est deja forme." This produced as hearty a laugh as is permitted at Court both from the Princess and the Comte. The Princess asked me immediately, if I had not been pleased at Paris? I answered that I had: that there was something there for every Taste but that such great Cities as Paris and London were not good Schools for American young Ladies at present. The Princess replied that Mrs. B. might learn there the French Language. I made Acquaintance with Mr. Kempar of Friesland, once a Professor, at Franaker, who says there are but two Millions of People in the 7 Provinces. He quoted to me two Authors who have written upon the Subject, one 20 Years ago, and the other 10, and that they have decided this Subject. Stated the Numbers in each Province, City, Village. Accurate Accounts are kept of Births and Deaths, Baptisms and Funerals. The Midwives and Undertakers are obliged to make returns of all they bring in or carry out of the World. -- This last fact I had from Linden de Blitterswick the first Noble of Zealand. Mirabel repeated what he had said often before, as well as Reichack and Calischef, that their Courts expected a Letter from Congress, according to the Rules and Precedents, to inform them of their Independence. -- Mem. I think Congress should inform them that on the 4 July 1776 they assumed their Sovereignty, that on the day of France made a Treaty, on the 7 of Oct. 1782, Holland -- on the G.B. -- on the day of Sweeden. Zaterdag 21 juni. – Al bijna zesendertig uur huil ik vrijwel onafgebroken, gisteren ben ik uitgeput naar bed gegaan. Het gerucht had al de ronde gedaan. Toen ik dan ook L’Estafette in handen kreeg waarin met grote letters stond: Keizerlijke prins gestorven, kan ik niet zeggen hoe dat me aangreep. Trouwens, tot welke partij je ook behoort, ongeacht of je Fransman of buitenlander bent, je moet de algemene stemming wel voelen, en dat is er een van verbijstering. Deze afschuwelijke, deze vroegtijdige dood is iets vreselijks. Sterven? Op zo’n ogenblik. Sterven op drieëntwintigjarige leeftijd, gedood door wilden en vechtend aan de zijde van Engelsen! Ik denk dat in het diepst van hun hart zijn hardvochtigste vijanden een soort berouw voelen. Ik heb alle kranten gelezen, zelfs die welke beledigend zijn; ik heb ze besproeid met mijn tranen. Als ik Française was, man, bonapartist, dan nog zouden mijn opstandigheid, mijn verontwaardiging en mijn verdriet niet groter zijn. Denk toch eens aan die jongen, die door de spot van de smerige radicale kranten is verjaagd, aan de jongen die is aangevallen, vermoord door wilden! De uitroepen die hij heeft geslaakt, het radeloze schreeuwen om hulp, de pijn, de verschrikking van de machteloosheid. Te moeten sterven in een afgrijselijke onbekende uithoek, in de steek gelaten, nagenoeg verraden. Weggaan ook, op die manier, helemaal alleen met Engelsen! En de Engelse bladen zijn zo infaam om te insinueren dat er geen enkel gevaar dreigde op de plaats waar de verkenning werd uitgevoerd. Kan het ergens veilig zijn in zo’n land, te midden van vijandige wilden, voor een eenheid van een paar mannen? Je moet wel dwaas of idioot zijn om dat te geloven. Maar lees de details. Ze hebben hem daar drie dagen gelaten, en die Carrey heeft pas te laat gemerkt dat de prins ontbrak. Toen hij de Zoeloes zag, is hij ervandoor gegaan met de anderen, zonder zich om de prins te bekommeren. Nee, ziet u, dat zwart op wit in hun kranten te zien staan en te bedenken dat die natie niet is vernietigd, dat hun vervloekte eiland niet van de kaart kan worden geveegd samen met dat koude, barbaarse, perfide en infame volk! 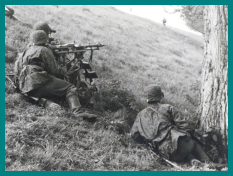 Oh, als dit zich in Rusland afspeelde, zouden onze soldaten zich tot de laatste man hebben laten afslachten! Maar deze trouwelozen hebben hem in de steek gelaten, verraden! Maar lees dan de details, en als u dan niet verbijsterd bent over zoveel trouweloosheid, lafheid! Op de vlucht slaan zonder je kameraden te verdedigen, zoiets doe je toch niet? En luitenant Carrey zal niet hangen! En de moeder, de keizerin, die arme keizerin! Alles is afgelopen, verloren, vernietigd! Niets meer! Alleen een arme moeder in zwarte kleren. • Klaartje de Zwarte-Walvisch (1911-1943) werd begin 1943 gevangen gezet in kamp Vught. Later werd ze overgebracht naar Westerbork , en omgebracht in Sobibor. Van de eerste maanden van haar gevangenschap hield ze een dagboek bij. We zijn niet meer in de quarantaine en gelukkig behoeven we ook niet meer naar de grote appelplaats. Hier ben ik toch zo blij om. Ik kan er zelf geen geschikte verklaring voor vinden, maar het feit op zichzelf niet meer daarheen te moeten, heeft me verblijd. Nu worden we weer net als voorheen geteld op de weg langs de barakken. Voor hen die s morgens en 's avonds de mannen even zagen, is het wel jammer, maar ik vond het altijd afschuwelijk. Ik heb altijd het echte gevoel gehad in een concentratiekamp te zijn. Er gebeuren hier dagelijks zulke zotte dingen. Een paar dagen geleden op een ochtend tijdens de schoonmaak, kwam een van de leidsters' de barak binnen. Ze begon als altijd te schreeuwen en te schelden, en vond dat we niet netjes genoeg schoongemaakt hadden. Ze nam iemand een emmer water af en gooide hem over de grond. Gedeeltelijk kwam het water terecht over de voeten van een vrouwtje. We stonden beteuterd te kijken, want het was nogal snel in zijn werk gegaan. Wat vond ik dat een vuile lage streek. We konden met de schoonmaak weer opnieuw beginnen. Een uur later komt de leidster terug. En een vrouwtje, hetzelfde brutale ding dat voor mij slaapt, stond niet op toen ze binnenkwam. Voor straf moest ze de gehele dag in de hoek staan. Gisteren weer iets dergelijks. Nadat er gegeten was, moesten de etensketels naar het hek gebracht worden. Vandaar werden ze in ontvangst genomen door de Häftlinge, die ze dan naar hun keuken vervoerden. De ketels werden door vier personen gedragen. Elke ketel door twee. In plaats van dat ze nu de hoofdweg overliepen, gingen ze de zandweg op om vlugger naar het hek te komen. 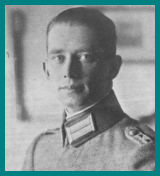 Daar komt de Oberscharführer aan, en begint te schreeuwen, om bang van te worden. Alle vier moesten gestraft worden, want ze hadden zich aan een groot vergrijp schuldig gemaakt. Stel je voor: op de zandweg te lopen. Dat was immers levensgevaarlijk? Ze moesten tot gisteravond negen uur op de berm langs de weg staan. Om half drie nam hun straf een aanvang en eerst kregen ze nog een standje, omdat ze aan de verkeerde berm gingen staan. Om half zes kwam onze administratrice langs en mochten ze van haar naar de barak terug. Ze werden met gejuich ontvangen. We gingen met ons clubje, dat in een buurtje bij elkaar sliep, tijdig naar bed, maar om zeven uur werden ze weer uit hun bed gehaald en moesten ze weer naar de berm, want de Oberscharführer had gevraagd waar ze gebleven waren. En vlug moesten ze zich aankleden en blijven staan tot kwart over negen. We waren allen hevig verontwaardigd over zo een smerige daad. Gelukkig heeft het vierspan erom gelachen en vonden ze het feit op zichzelf niet zo heel erg. Erger was echter dat die kerel zo tegen ze had staan brullen alsof ze een grote misdaad begaan hadden. Het was ook werkelijk een groot vergrijp wat ze gedaan hadden. Een van het vierspan, een klein kindvrouwtje, zei: 'Nooit van mijn leven breng ik meer een ketel naar het hek. Wat een walgelijke massa.' Het is inderdaad beter om alles maar van de vrolijke kant te bekijken en niet zo diepzinnig op alles in te gaan. Het is nu een gewoonte van de leidsters geworden om, als we op appel staan, er hier en daar eentje uit te pikken en tot negen uur op de berm te laten staan. Daar hoeft men niets voor gedaan, of beter gezegd misdaan, te hebben. Je moest net het ongeluk hebben om uitgepikt te worden en je hing. Ik zorg wel dat ik niet zo erg in de gaten loop, want het lijkt me niet prettig om tot negen uur te moeten staan. 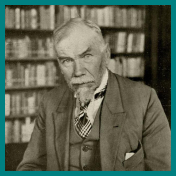 • Frederik van Eeden (1860-1932) publiceerde in 1920 een soort aforismedagboek, Gedachten geheten. CLXIX. Er kunnen altijd, onder àlle omstandigheden, genieën voorkomen, die zich, naarmate zij hooger begaafd zijn, ondanks àlle tegenwerking van buiten, ontwikkelen. CLXX. Niemand wane zich eenig meester van begeerte of daad. CLXXI. Armoede verlaagt en verdierlijkt, ontwikkelt al de lagere neigingen en onderdrukt het geestelijke en goddelijke in den mensch. CLXXII. De liefde, absoluut gedacht, is het volmaakte begrip en de volmaakte vergeving. CLXXIII. Een schare neigingen, gevoeld als plichten, spoort ons tot handelen naar geheimen raad eens veldheers. CLXXIV. Alle leden onzer samenleving, zoowel bezitters als niet-bezitters, hebben kapitalistische levensuitingen, moraal en begrippen. CLXXV. 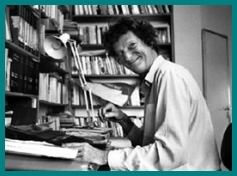 De goede, waarachtige woordkunst of literatuur is: het hooger stijgen in waarheid en schoonheid, en die in 't woord belichamen. CLXXVI. Wie iets moois maakt, lijkt mij meer artist dan wie iets goeds maakt. CLXXVII. Armoede is een vreeselijke vloek, in dreigende oppositie met de hoogere deugden, kunst, wijsheid, wetenschap en beschaving. CLXXVIII. Niet kapitaal en rente afschaffen, zooals de dwepers willen, want de maatschappij heeft ze noodig, maar er wijs, rechtvaardig en eerlijk mede handelen. CLXXIX. Kunsttermen worden wel eens gemeengoed. CLXXX. De spraak heeft schoonheden, die geen zang kan weergeven of vergoeden. CLXXXI. Rijkdom was de onmiddellijke oorzaak van de glorie der beroemde centra van hooge menschelijke cultuur. CLXXXII. Voor een normaal mensch ligt het geluk van den dag zoowel in het werk dat hij doet, als in de uren van rust en de uren van geestesoefening. • James Boswell (1740-1795) verbleef in 1763-1764 in Nederland, om er te studeren in Utrecht. Hij leerde er Belle van Zuylen kennen, met wie hij zeer goed bevriend raakte, maar Boswell zag af van een huwelijk. De dag voor hij wegging uit Nederland, deelde hij haar mee dat hij niet verliefd op haar was. Alle brieven en dagboekfragmenten uit deze periode staan hier. MONDAY 18 JUNE. My wakeful night well past, I was in glow of spirits. Zelide's letter [Belle van Zuylen] was long and warm. She imagined me in love with her, and with much romantic delicacy talked of this having rendered her distraite. I was honest or simple enough to leave her a short letter, assuring her that I was not amoureux, but would always be her fidèle ami. I had all my affairs in order. Honest Carron came and took leave of me. And next comes a most flagrant whim. Some days ago I called to me François, told him that he had served me honestly and well, and that I could give him a good character as a servant. I said I hoped that I had been a good master. To know this certainly, I ordered him to write out a full character of me, since he entered to my service, and charged him to mark equally the bad and the good which he had observed, and to give it me carefully sealed up. I accordingly received it this morning [zie hieronder]. I took leave of my house in which I have had such an infinity of ideas. At seven we set out in a coach and four. . . .
• Brief van François Mazerac, waarin hij de goede en slechte eigenschappen van Boswell opsomt. MONSIEUR: My small ability makes it almost impossible for me to comply with your orders, and I hope that Monsieur will take my remarks kindly and regard them as coming from a person who is only trying to obey you. First: I have found that Monsieur is extremely negligent about his money, his watch, and other effects, in leaving them on the table, or in leaving the key on the bureau, and going out of the room leaving the door open, as happened several times at The Hague. If it should ever happen that you have the misfortune to lose something in this way, you might entertain suspicions of your servant or some other innocent person. There is a saying, "Oppor- tunity makes the thief." Secondly: I have found that Monsieur has a good heart, in doing good to the poor: a virtue which is dictated by humanity and prescribed by religion. Thirdly: Monsieur is not at all given to backbiting, a vice very common among great minds. Fourthly: 6 Very punctual in performing the duties of your religion, by going to church, not swearing, and above all by saying your prayers every morning. Fifthly: I have found that when Monsieur has invited com- pany, the guests always arrived before you, which might expose you to some reproach, especially in another country where they care more for social formalities than they do here. Sixthly: I have found that Monsieur applies himself too much to study, which is noble in itself but ruinous to health if not done judiciously. Seventhly: I find that Monsieur goes to bed too late, which, with the study, will make you lose your health, which Monsieur will regret when it is too late and there is no help for it. Eighthly and last item: I have found in Monsieur a really Christian and noble heart, especially towards me, which I shall never forget. May the Father of fathers take you under His holy protection, and keep His eye on you, guarding you as a beloved child. May He guide your steps and direct your thoughts, so that no harm may come to you, and that when you have returned home safe and sound, you will bless Him therefor eternally. Als een schilderij, door de manier waarop het gemaakt was,door iets nieuws, iets origineels, mijn aandacht trok en ik kwam dichterbij om te zien wie het geschilderd had, dan bleek het steeds weer het schilderij van een buitenlander te zijn,van een Oostenrijker,een Scandinaviër, een Rus, een Spanjaard. Wij zijn verslagen, absoluut verslagen. Wat mij in deze Salon opviel, was de invloed van Jongkind. Ieder landschap dat op het ogenblik van enige betekenis is, stamt van hem af. De manieren waarop de lucht, de atmosfeer, de bodem worden weergegeven, zijn aan hem ontleend. Dat springt echt in het oog en het wordt door niemand gezegd. Een bijzonder aardige en opvallende uitspraak van een kind. De kleine Daudet stond op het punt om de afgelopen winter naar een bal masqué te gaan. En nadat hij lange tijd zijn bontgekleurde kostuum had bekeken, vroeg hij heel serieus: ‘Wat zouden de papegaaien in de dierentuin wel zeggen, als ze me nu zagen? • Op vrijdag 10 mei 1940 begon de 57-jarige directeur van de Rijkskweekschool in Amersfoort, Honoré Blijdenstijn, in een eenvoudig schriftje, dagelijks te noteren wat hem bezighield. Vijf jaar en 23 schriftjes later hield hij daar mee op. Bij Peper. Jan wordt 65. Hij vertelt. Een mijnheer S. geeft in een Chr. School een middenstandscursus. Een van zijn jongens schrijft na de „vlucht” van Hess iets op een bank, wetende, dat dit zal gelezen worden door Duitsers, die ook van dat lokaal gebruik maken. Een paar dagen later heeft de groep van S. weer les. Er komt een Duitser met 10 manschappen binnen. De dames en een paar toevallig aanwezige oudere bestuursleden moeten zich verwijderen. Daarna worden de overigen afgeranseld! (Strafmaatregel; eigenmachtig, zonder vorm van proces). Van Rossum, de vredestichter, schijnt er uit „gegooid” te zijn. Rost van Tonningen schijnt ook te zullen verdwijnen, evenals Piek. Lineke vertelt, dat een Berlijns Duits officier, bij hen ingekwartierd, vertelt, dat wie Berlijn na den oorlog wil zien, minstens 4 jaar na de vredessluiting moet wachten. Dat klinkt weer anders, dan ’t verhaal van den neef van Toos Visscher. In Berlijn zit een Hollander in de bioscoop. Er verschijnt een portret van Hitler; algemeen geloei. Licht op. Een van de Gestapo op ’t toneel; waarschuwt, dat bij herhaling de zaal zal ontruimd worden. Weer donker: Hitlers beeld verschijnt weer. Nieuw geloei, nog sterker. De zaal wordt ontruimd. De Hollander wordt scherp ondervraagd en hem wordt aangezegd, dat hij den volgenden dag uit Duitsl. moet vertrekken. Dit geschiedt onder onophoudelijke controle. Later vindt hij een briefje, gestoken tussen zijn valies: „Wir wollen Frieden”. ’s Avonds de Polakken; zij worden gematigder. Ook doen wij ons best geen controversen uit te lokken. Roos vertelde den mop van de schoenverkoopsorganisatie; Greet – het vervolgstuk. Zeer geestig. Er zijn er nu maar weinigen meer, die geloven, dat de oorlog dit jaar afloopt. Dat zijn zij die menen, dat de eindstrijd in Engeland moet gestreden worden en menen, dat Hitler gauw zal moeten varen, vóór Duitsl. ineenstort. En men verkneukelt zich maar weer in de Engelse overwinningen op de opstandelingen in Irak en op de vorderingen, die men tegen de Vichy-Fransen in Syrië maakt. (’t Zijn hier weer de Australiërs, die het spits moeten afbijten). Nog steeds blijft men bij zijn naïeve voorstelling van een spoedig en glansrijk herstel van Nederland, ingeval Engeland wint. Men weet te vertellen, op grond van „De Stenen spreken”, of van Bellamy of van astrologische peilingen, dat wij het geluk op aarde snel naderen. Wij zijn thans in de afbraak-periode; Hitler is de grote sloper. Maar in ’43 begint de opbouw, - en wel, van Nederland uit! Nederland krijgt een zelfgenoegzaam economisch stelsel; daarbij sluit „de rest van de wereld” zich geleidelijk aan en in ’48 is de wereld geheel gewonnen voor Bellamy. De Polakken vinden dat nog zo gek niet! Merkwaardig, twee gestudeerden, doctoren in de medicijnen! Zij zijn in dat opzicht kinderen en ik kan mij daar niet genoeg over verbazen. Ik ben in ’t geheel geen econoom en van financiën weet ik op 58-jarigen leeftijd nog niet veel meer, dan dat ’t moeilijk is in dezen tijd met f 35.- zakgeld per maand toe te komen. Maar ik kan toch wel zien, dat de toekomst van Nederland, bij een Engelse overwinning met herstel van de goud- of ook de dollarwaarde, hopeloos is. Afgezien nog van de onmiddellijke ineenstorting van ’t Duitse regiem en de communistische chaos, die daar ontstaat, aannemende dat een ijzeren militair regiem in Nederland het communisme de baas zou blijven (wat met de aanstormende Rode Golf uit Rusland, Duitsland en Frankrijk tegelijk onmogelijk geacht moet worden, daar men op ’t verzwakte en op lijfsbehoud bedachte Engeland niet rekenen kan: die zullen ’t met Stalin wel op een accoordje gooien! ), afgezien daarvan dus, zal Nederland moeten trachten a. grondstoffen en machines te krijgen; b den tijd, tot die renderen, te overbruggen en zoeken naar middelen om 8 mill. mensen te eten te geven. De middelen daartoe zijn: 1° het naar Engeland en Amerika geredde goud der Nederl. Bank. Maar wat zal daarvan over zijn, nadat daarvan de bewapening van Indië is gefinancierd, onze vloot gedurende den oorlog in gevechtstoestand heeft verkeerd en de geëmigreerde Nederl. regering met haar ontzaglijken aanhang is gevoed? 2° onze opeisbare credieten in Amerika, Engeland en Indië; dat zijn dus de achterstallige dividendsuitkeringen aan Nederlandse particulieren. Wat zullen deze betekenen voor de Nederl. schatkist? Niets, want zij zullen er niet komen. Welke Nederl. kapitalist zal zoveel vaderlandsliefde bezitten, dat hij zijn kostelijk dollarbezit hierheen zal laten komen om ’t als goederenruilvaluta door den Ned. Staat in beslag genomen te zien? en Nederl. „waarde”papieren in ruil te ontvangen? En dat bij een tot (naar men zegt) 3½ gedepreciëerden gulden-koers? Zal men integendeel geen scherpe dictatoriale maatregelen moeten treffen om onmiddellijk na de vredessluiting een massale kapitaalvlucht te voorkomen? Dat zullen de mooie vaderlandslievende tiraden, waarmee nu de „tot beter ontwaakten” elkaar de oren vol zingen, niet beletten. Zij denken geheel als volgens een Duitse witz Churchill denkt: Na den oorlog moet alles weer worden als vroeger, maar dan heel anders.” Ja-wel, ik ken onze brave Nederlanders; de wekelijkse vergaderingen van ’t Senioren-Convent zijn in dat opzicht zéér leerzaam. Fischböck is daar geenzins populair! Of men die voor de hand liggende consequenties niet zien kan, niet zien wil of niet durft uiten, weet ik niet. Jan Peper is ’t in ieder geval geheel met mij eens en de vorige week verschenen een paar financiële opstellen in ’t Handelsblad, die ik hier bijvoeg en die dezelfde inzichten weergeven. Peper zegt: men populariseert dat niet, anders gaat de weerstandskracht verloren. ’t Is mogelijk; een paedagogisch-politieke reden dus. Maar de massa der betere middenstanders, die zich graag tot de intellectuelen rekent, de mensen dus, waarmee wij hier in Amersfoort omgaan, schijnt dan toch uit zichzelf heel moeilijk boven ’t sprookje uit te komen (F zie verder). De lectuur van Mavors heeft mij doen zien, dat Sjoerd Rond gelijk heeft, en dat onze terugtocht uit de Grebbelinie allesbehalve het tactische meesterstuk is geweest, waarvoor men het heeft willen doen doorgaan, een opvatting, waarin welwillende Duitse beoordelaars ons, met het oog op ´t behoud onzer krijgsmanseer, wel hebben willen sterken! ’t Is een ordeloze vlucht geweest, een paniek haast, waarvan de D. geen gebruik hebben willen maken om bloedbaden aan te richten. Hoeveel halfheid, onbekwaamheid, maar ook hoeveel lafheid en gemis aan verantwoordelijkheids-besef komen hier tussen de regels door tot uiting. Persoonlijke moed plaatselijk en episodisch genoeg, en dan bij minderen en subalterne officieren. Maar hersens? Wat men vele maanden had kunnen voorbereiden, was niet eens af! En hoe heeft zich onze schrielheid gewroken! De burger had uit de krant vernomen van proefnemingen en aanschaffingen, en was gerust. Toen ’t er op aan kwam, was er van die schone zaken niets, of wanneer er soms iets was, kon men er niet mee omgaan. Wat Wim Hagens mij even na die capitulatie had verteld, was het beeld van heel ons leger. En wat baat dan de strijdlust en de offerbereidheid van een hoop brave jongens! Die wilden wel – maar wat konden ze anders dan zich laten doodschieten? Dat er „maar” 3000 gesneuvelden en 7000 gewonden zijn, danken wij geheel aan de superieure tactiek en de menselijkheid der Duitsers. Er zal nog wel eens grote, zeer officiële daverende „geschiedenis der 5 dagen” geschreven worden; daar zijn de woordenrijkdom, de gemechaniseerde bombastvaardigheid en de schrijflust onzer hoofdofficieren-in-ruste voldoende borg voor. Dat boekdeel zal misschien wel gebonden zijn in oranje en prijken met het portret onzer Koningin in goud en met de wapens van Nederland, Nassau en Lippe-Biesterfeldt. Dat zal de waarheid bevatten voor ’t nageslacht met vele portretten van hoge militairen – kort om, ’t zal schallen en daveren! Maar de echte onverbloemde waarheid, althans voor zover zij onder Duitse bezetting toelaatbaar is en geen der thans, helaas, heilige huisjes beroert (dat deel der waarheid mist men er in! ), die waarheid vindt men in de dagboek-uittreksels van jonge reserve-officieren in Mavors Mei 40 - Mei 41! Ik kan ieder Nederlander deze lectuur aanbevelen. (Ofschoon met veel smaak de mop wordt voortverteld van de teleurstelling van Rost van Tonningen, die meende Directeur-Pres. der Ned. Bank te worden en per saldo „papier”fabrikant bleek te zijn, vragen maar weinigen zich in ernst af, welken invloed ’t product van dien papiermolen op den stand van den gulden zal hebben, als die eenmaal weer voor ’t goudfront komt). Van der Stadt, de kapper vertelde, dat alle officieren, onderofficieren en manschappen, die hier als Opbouwers bij de luchtbescherming werk hadden gevonden, op den eis zich bij de N.S.B. aan te sluiten, ontslag hebben genomen. Ook vertelde hij staaltjes van bruut optreden der D. weermacht: een jongen, die op straat stond te praten en niet voor een passerend militair op zij ging, werden de tanden uit geslagen. Anton Kruithof kwam gisteren per fiets uit Utrecht tussen een groep arbeiders uit de Gero-fabr. Tegenover de Zwaan bij den smid de gewone opstopping van tankende auto’s en motoren met belemmering van het fietspad. Eén der arbeiders maakt een ontevreden opmerking. Terstond 2 Duitsers in een auto den man na. „Mitt”!” Meegepakt in de auto. Vanavond vergadering v/h Bestuur der Volksuniversiteit aan huis bij Dr Miedema. De cursussen van den afgelopen winter zijn alle goed geslaagd, ondanks de moeilijke omstandigheden. Wij zullen dezen winter op denzelfden bescheiden voet voortgaan. ’t Nieuwe program is samengesteld; het onderwerp „rassenkunde” lag nog niet in de lijn. Wel folklore en prehistorie. – Ter Pelkwijk, burgemeester van (Leiden) Utrecht, die een groepportret van ’t Koninklijk huis in zijn burgemeesterskamer had hangen, kreeg daar een opmerking over van den prov. Commissaris Müller: de prins mocht er niet op. Ter P. heeft er een papier overgeplakt met de woorden: tijdelijk afwezig. In Barneveld heeft men ’t standbeeld van Jan van Schaffelaar een bordpapier om den hals gehangen met ’t opschrift: de enige inwoner van Barneveld, die niet naar de Eng. radio luistert. – . De Boerhaave-kliniek in Amsterdam zou vol liggen met meisjes, die een Duitsen baby verwachten: de kliniek heet thans de Baarhoeve. – Er zijn (volgens Dr Leopold) ook Hollandse Ehrenbräüte. Deze verdienen f 100.– voor één avond dienst. In Utrecht natuurlijk. Ik vroeg hem, of er in Amersfoort ook zo’n etablissement was. „Neen, nooit van gehoord”. Ik zei hem, die verhalen meer te hebben gehoord, o.a. van Soest, maar bij navraag aan serieuze mensen uit Soest bleek zoiets niet te bestaan. Ik vrees nu, dat Leopold mij ook niet voor 100% houdt. Volgens Mebius en Leopold staat in Moskou de revolutie voor de deur: de rode legers weigeren de concessies goed te keuren, die Stalin aan Hitler dezer dagen heeft gedaan. Nu gaat „het” gebeuren! 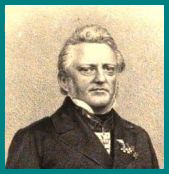 Leopold vertelde, dat ook de H.B.S. op haar nieuw program blijft wachten; dat rassenkunde er zeer waarschijnlijk op zal voorkomen (voor rekening van den bioloog) en ... dat Prof. Van Dam, de Secretaris Generaal wankel staat of weg wil. Ik zou dat erg jammer vinden, want Van Dam was goed. Hij heeft in ’t afgelopen jaar voortreffelijke dingen gedaan. En wat zou men terug krijgen?! 10 juni. Ik kom er steeds meer achter dat ik liever echte collaborateurs heb dan valse verzetsstrijders. 15 juni. Het beeld dat de Fransen van zichzelf hebben klopt in hoofdzaak wel: dat van een ontwikkeld, fijnzinnig, roembelust, ambitieus volk, waarzonder Europa een stuk minder af zou zijn. Maar wat mij verbaast is wat vreemdelingen volgens de Fransen van hen denken. Laten we de verschillende buitenlanders onder wie Frankrijk zo vlijtig aanhangers ronselt, zoals de Roemenen, Grieken, Balkanbewoners, Oost-Europese Joden even voor wat ze zijn; hun oordeel is van geen belang. En laten we evenmin kijken naar het oordeel dat gevormd wordt door eenvoudige volkeren, de buitenlandse boeren en de volkeren die zich in beschaving en raffinement niet met Frankrijk kunnen meten. De eenvoudige volkeren hebben in de Fransen altijd een buitengewoon, bijna bovenmenselijk volk gezien, heel anders dan andere volkeren. Ik weet niet hoe en waarom dit idee is ontstaan. Zo weet ik dat de Italianen, ik bedoel het volk, aan de Fransen denken als harde en tegelijkertijd ridderlijke soldaten, want bij het volk leeft nog de herinnering aan Franse militaire invallen sinds Karel de Grote. Langs de door Karel de Grote in 800 naar Rome afgelegde weg om er als keizer te worden gekroond leven nog steeds dichterlijke verhalen over die reis, en over de gratie, de kracht, de grootmoedigheid en het christelijk geloof van de Karolingische ridders. Veel van die in de Ardennen ontstane legenden zijn overgebracht naar Italië, vooral naar de buurt van Spoleto etc. Diner bij de Sammy Fischers met Gerhart Hauptmann en echtgenote, de Einsteins, de Hugo Simons, Jessner, het echtpaar Kerr, staatssecretaris Hirsch enz. Na het eten gesprek met Hauptmann en Einstein, dat zijn vertrekpunt had bij mijn brief aan Hauptmann. Hauptmann zei dat hij de suggestie voor de sterfscène in dank aanvaard had. Hij zou de dood van Uilenspiegel absoluut toevoegen. Ai was hij er nog niet helemaal uit hoe hij het zou aanpakken; hij had een aantal versies in gedachten. Mijn suggestie dat Uilenspiegel zich over 'de laatste dingen', die Cheiron hem zojuist had laten zien, zou moeten 'doodlachen', kenschetste hij tegenover Einstein als 'erg gewaagd'. Hauptmann zei me onder het eten over de tafel heen toen ik zijn gelijkenis met Goethe aanstipte: 'Ja, ik ben toch ook een zoon van Goethe.' Op mijn ietwat verbaasde vraag 'Hoe moet ik dat begrijpen?' zwakte hij het echter af door te zeggen dat hij tot dezelfde stam behoorde. Ook met Alexander von Humboldt had hij een soortgelijke bloedverwantschap. Benvenuto (zijn zoon) had eens, toen hij vier was en met zijn kindermeisje langs de Berlijnse universiteit liep, naar het beeld van de zittende Alexander von Humboldt gewezen en gezegd: 'Kijk, daar zit pappie!' Die nauwe verwantschap met Goethe en Alexander von Humboldt schijnt bij Hauptmann een soort mystiek geloofsartikel geworden te zijn. 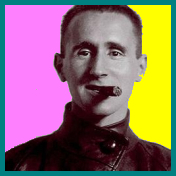 Bertolt Brecht (1898-1956) was een Duitse schrijver. Dagboeknotities van hem zijn gepubliceerd in Tagebücher 1920-1922. In diesem Land sind die Farben schlecht. Es ist alles graue, oft gewaschene Tinte. Wenn sie einmal einen roten Mond hineinbringen, hat man nicht genug Naivität, ruhig zu bleiben. Daher sollte wenigstens der Schnaps umsonst sein. In einem Land mit solchen Farben sollte der Schnaps nichts kosten. Vor einer Woche die Marianne. Wir reden zuviel. Nachts bin ich müd und schlafe, sie aber wacht, sitzt auf dem Sofa in der Hölle und weint über meine gestorbene Liebe. Ich halte, aufgeweckt, eine Rede darüber, daß sie R[echt] wieder alles verheimlichen, dann entfliehen will oder was sonst? Sie bereut, sie will R[echt] gestehen, sie fährt zuversichtlich ab und schreibt einen eifersuchtstollen Brief drei Tage später: sie wolle überhaupt allein in die Welt. Mitunter halte ich mich in der Pinakothek auf. Jetzt wird es mir übel vor dem Fleischbazar der Rubensorgien. Davon hatte ich selber zuviel intus, muß aber zum Tizian kommen. Hier ist so gedunkelter Prunk, ein satter Goldton, balsamische Ruhe bei starker Kraft und die Monumentalität des Shakespeare. Man sollte doch irgendwo ein gelbes Haus gründen, wie van Gogh meint, in das man Leute mit Ideen und Wuchs zusammenpfercht, die dann sehen müssen, wie sie miteinander zurechtkommen. Etwas so Gesellschaftliches wie Theater läßt sich nicht von einzelnen Punkten aus in Angriff nehmen, hier braucht man vernünftiges übereinkommen. Als ich heut vor dem Spiegel Kirschen fraß, sah ich mein idiotisches Gesicht. Gegen die geschlossenen, schwarzen Kugeln, die im Mund versanken, wirkte es noch ungebundener, lasziver und widerspruchsvoller. Es hat viele Elemente von Brutalität, Stille, Schlaffheit, Kühnheit und Feigheit in sich, aber nur als Elemente, und es ist abwechslungsvoller und charakterloser als eine Landschaft unter wehenden Wolken. Deshalb können viele Leute mein Gesicht nicht behalten (»es sind zuviele«, sagt die Hedda). • S.A. Buddingh (1811-1869)-- Dagboek mijner overland-mail-reis van Batavia naar Nederland, via Triëst, in 1857. Tegen den avond van, den 12den Junij passeerden we het eiland Lucipara, en ten half 12 uren viel het anker op de reede van Muntok (hoofdplaats van het eiland Banka.) Lucipara is als het ware de wachter aan den ingang van straat Banka, welke engte, gelijk bekend is, gevormd wordt door de eilanden Banka en Sumatra. Voor de zeevaarders is de berg Menoembing, gewoonlijk bij verbastering Monopijn genaamd, het verkenningspunt voor Muntok. 13 Junij stoomden we weder straat Banka uit. Sumatra verliest men straks uit het oog, maar het hooge en bergachtige land van Banka ziet men nog uren lang, vooral den berg Paniabang. Weldra passeerden we de rotsen Karang Hodjie, en de zeven-eilanden, welke groep geformeerd wordt door de eilanden Joe, Lalang, Marantej, Tjebia, Katjangan, Toekang-Kombong en Poeloe Satoe. We hadden ze aan stuurboord-zijde, terwijl we aan de linkerhand weldra Poeloe Taja passeerden, en iets verder het eiland Linga en de daartoe behoorende grootere en kleinere eilanden. Het verbaast me niet echt dat mensen zulke dingen doen, zelfs niet dat ze bekendmaken dat ze die doen. Wat echter wel indruk op me maakt, is dat de reactie van andere mensen op dit soort gebeurtenissen enkel en alleen door de politieke mode van dat moment wordt bepaald. Zodoende geloofden de rozeroden voor de oorlog elk horrorverhaal dat uit Duitsland of China kwam. Nu geloven de rozeroden niet langer in Duitse of Chinese gruweldaden en doen ze alle horrorverhalen automatisch af als ‘propaganda’. Nog even of je wordt belachelijk gemaakt als je suggereert dat het verhaal van Lidice weleens waar zou kunnen zijn. En toch, de feiten zijn er, bekendgemaakt door de Duitsers zelf en opgenomen op grammofoonplaten die ongetwijfeld nog steeds beschikbaar zijn. Vergelijk de lange lijst met gruweldaden sinds 1914 [Duitse wreedheden in België, Bolsjewistische wreedheden, Turkse wreedheden, Britse wreedheden in India, Amerikaanse wreedheden in Nicaragua, naziwreedheden. Italiaanse wreedheden in Abessinié en Cyrenaica, rode en witte wreedheden in Spanje, Japanse wreedheden in China...] die in alle gevallen naar gelang de politieke voorkeur al of niet werden geloofd, terwijl men helemaal niet geïnteresseerd was in de feiten en men maar al te graag bereid bleek om de eigen overtuigingen te veranderen zodra de politieke situatie verandert. De keizer is nu al meer dan vier weken in Doorn. De keizerin ligt sinds kort na Pinksteren in bed. Een kleine beroerte leidde tot een ernstige crisis. De keizer sprak met mij al over de dood van de keizerin. Zij is intussen weer wat opgeknapt, maar de dood is weer een stap dichterbij gekomen. Men moet er rekening mee houden dat het hart spoedig plotseling zal stilstaan. Haar lichaam zal dan, naar wens van de keizerin, worden overgebracht naar Potsdam. Eerst had men gedacht aan voorlopige bijzetting in Amerongen. Met de keizer gaat het goed. Hij voelt zich goed in het nieuwe huis. Op de laatste dag voor mijn verlof gebeurde nog iets... karakteristieks voor de keizer! Op de 7de arriveerde graaf Moltke, die mij gedurende mijn verlof zal vervangen. Toen ik mij de volgende dag na het middageten bij de keizer wilde afmelden, zei hij: 'Nee, nog niet, u begeleidt mij vanmiddag nog naar graaf Lynden op Kasteel Sandenburg [in Langbroek, bij Doorn red.] en dan eet u 's avonds nog hier.' Toen Gontard, Berg en de dames probeerden mij vrij te krijgen, werd hij boos: 'Nee, ik zal jullie laten zien dat ik hier nog steeds de bevelen geef!' De keizer vond het simpelweg onaangenaam dat hij mij nu niet iedere dag om zich heen zou hebben. Mij deed het een beetje pijn geen begrip te vinden, nadat ik nu anderhalf jaar hier in Nederland mijn dienst heb gedaan. En wat voor een zware dienst! Gontard meende dat het toch voldoening moest geven om te merken hoe moeilijk het voor de keizer is het tijdelijk zonder mij te moeten stellen. Dus begeleidde ik de keizer naar Lynden. Toen hij daar weer vertrok, zei hij tegen de chauffeur: 'Naar Amerongen, waar ik Ilsemann bij zijn bruid zal afleveren!' 'Bravo! ', zei Berg tegen de keizer. Ook ik was zeer ontroerd. Mijn dienst in Doorn is als volgt: 's morgens ga ik met de keizer van 8 tot 9 uur in het park wandelen, daarna volgt de morgendienst samen met de keizerin. Aansluitend werk ik met de keizer in het park aan wegen, bomen en planten. Daarna volgt het voorlezen van de kranten en het middageten met de majesteiten, die zich tussen 2 en 3 uur terugtrekken. Dan rijd ik naar Amerongen, waar ik met kranten en schrijverij steeds genoeg te doen heb. Om 7 uur ga ik dan weer naar Doorn, waar ik 's avonds met de majesteiten moet eten. 's Nachts blijf ik in de Daisy Cottage, later 'Villa Plön' genaamd, en dan heb ik de volgende dag de avond vrij. Een regelmatige wisseling dus; om de andere dag ben ik altijd 's avonds vrij. 9 juni. Ik begin me te realiseren wat een geluk ik heb gehad om in de loopgraven bij Cambrin zo rustig kennis te maken met het front. We zitten nu in een akelige spits iets ten zuiden van de steenhopen, waar het aantal slachtoffers altijd hoog is. Gisteren had de compagnie zeventien slachtoffers door bommen en granaten. De frontlinie is gemiddeld maar zo'n dertig meter van de Duitsers verwijderd. Vandaag liep ik, in een gedeelte dat maar twintig meter van een bezette Duitse loopgraaf ligt, The Farmer's Boy te fluiten om de moed erin te houden, toen ik ineens een groepje over een man gebogen zag staan die op de bodem van de loopgraaf lag. Hij maakte een snurkend geluid, vermengd met een dierlijk gekreun. Aan mijn voeten lag de pet die hij op had gehad, bespat met zijn hersenen. Ik had nog nooit menselijke hersenen gezien; ik beschouwde ze op de een of andere manier als een produkt van dichterlijke fantasie. Met een zwaargewonde man kun je grapjes maken, je kunt hem ermee feliciteren dat hij nu van de ellende hier is verlost. Een dode kun je negeren. Maar zelfs een mijnwerker kan geen grapje maken dat klinkt als een grapje over een man die er drie uur over doet om te sterven, nadat het bovenste gedeelte van zijn hoofd is afgerukt door een kogel die van twintig meter afstand is afgevuurd. Beaumont, over wie ik in de vorige brief heb verteld, is ook gesneuveld - de laatste ongedeerde overlevende van het oorspronkelijke bataljon, afgezien van de mannen in de bevoorradingsploegen. Zijn benen zaten tegen zijn rug. Iedereen liep kwaad te vloeken, maar toen kwam er een genie-officier aanlopen die tegen me zei dat hij een tunnel tot onder de Duitse frontlinie had gegraven, en dat dit het geschikte moment was als mijn mannen wat granaten wilden gooien. Daarop liet hij de mijn ontploffen - het was geen grote, zei hij, maar hij maakte een geweldig lawaai en we werden met modderkluiten overdekt. We wachtten een paar tellen tot de andere Duitsers kwamen aanrennen om de gewonden te helpen, en gooiden toen alle granaten die we hadden. Beaumont had me nog verteld dat hij na de voorstelling bij de Rue du Bois voor vijf pond aan francs had gewonnen in de sweepstake: een sweepstake van het soort dat geen bitterheid veroorzaakt. Voor een voorstelling verzamelen de soldaten van het peloton al hun geld in een gemeenschappelijke pot die naderhand door de overlevenden wordt verdeeld. De gesneuvelden kunnen niet klagen, de gewonden zouden veel meer dan dat hebben gegeven om er zo af te komen en de niet-gewonden beschouwen het geld als een troostprijs voor het feit dat ze hier nog steeds zitten. • Dagboek van sergeant A. Vink, groepscommandant bij 1e sectie 1-II-8 R.I. Na de capitulatie van het Nederlandse leger werd hij als krijgsgevangene enige tijd in Duitsland tewerkgesteld. Om half vijf worden we gewekt door de chauffeur, die ons een uur later naar de fabriek brengt. Onze bewaker is Vrijdagmorgen weggegaan en eerst om 2 uur komt er een andere bewaker. We werken van 6 - 9 uur. Van 9 uur tot half tien hebben we "Frühstück". Gedurende deze rust maak ik kennis met onze nieuwe "Wachtmann", die eens poolshoogte komt nemen. Om half tien gaat het werk weer door tot half twee, dan is het "Feierabend". Deze morgen breng ik grotendeels door als "Dollmetscher". Daar ik het best de Duitse taal machtig ben en bovendien als leider van onze groep optreed, moet ik verschillende keren op zijn kantoor komen om het een en ander betreffende onze voeding enz. te bespreken en zo onze belangen te behartigen. Om kwart over elf ga ik met de trekwagen eten halen in de stad en breng dat naar ons kwartier. Ons eten in Wismar wordt door de National - Sozialistische Volksfürsorge (NSV) gekookt, een gaarkeuken voor de armen in de stad. Als hulp krijg ik een oud mannetje mee. Deze blijkt veel haast te hebben, want om half twee wil hij klaar zijn, want dan begint ook voor hem de "Feierabend". Daar we ook voor Zondag eten moeten halen, moeten we twee keer rijden. Hij wil het in één keer meenemen, wat voor ons schadelijk is, want dan krijgen we minder. Ik breng hem aan het verstand dat dat niet gaat en nu moet hij ook wel de tweede keer mee. Als ik in het kwartier terug kom is daar ook reeds spoedig onze nieuwe bewaker. De tuniek maakt hem soldaat, maar al gauw loopt hij rond met een burgervest en een geel huisjasje. Het is een gemoedelijke Duitser tegen de 50 jaar, die zich als onze kameraad beschouwt en ook zo handelt. Hij voorziet ons in de komende dagen van alles wat we nodig hebben, huisraad, lectuur, sigaretten, enz. Als de anderen thuiskomen eten we weer. De middag besteed ik o.a. aan de was. Mijn ondergoed dat ik al drie weken heb moeten aanhouden heeft wel een goede beurt verdiend. Het knapt dan ook werkelijk op, al is het nog niet hagelwit. 's Avonds eten we weer middageten. In verband met het warme weer heeft men ons aangeraden het eten niet tot de volgende dag te bewaren daar het eten dan misschien zuur wordt. Daar ons werk onder de term "zware arbeid" valt krijgen we extra brood. • Charles Burney (1726-1814) was een Engelse muziekhistoricus en componist. In 1770 maakte hij een studiereis naar het vasteland. Zijn reisjournaal is in het Nederlands vertaald (door Sas en Lucas Bunge) onder de titel Een posthoorn vol muziek. Op donderdag 7 juni 1770 voer ik met een flinke bries naar Calais. Het enige normale incident was dat ik tijdens de overtocht onverdraaglijk zeeziek werd, iets dat mij bij iedere reis naar Frankrijk steevast berooft van het genoegen halverwege de twee landen de kustlijn van allebei te zien. Met een goede telescoop gewapend kan men zich dan een mening vormen over de hypothese dat ons Eiland ooit een deel van het continent zou hebben uitgemaakt alvorens een aardbeving of soortgelijke natuurramp het daarvan losscheurde, een gedachte die me wel zeer waarschijnlijk voorkomt. Stenen, bodemgesteldheid, planten en de algemene indruk van het landschap vertonen veel overeenkomst. Laat ik mij echter bij mijn onderwerp houden en het probleem aanbevelen in de aandacht van natuuronderzoekers die op dit terrein thuis zijn en over de nodige kennis van zaken beschikken om een zo duistere en belangwekkende zaak nader te doorvorsen. Niet minder treffen mij bij iedere reis opnieuw bepaalde tegenstellingen in voorkomen, zeden, gebruiken en taal tussen de bewoners van dit land en die van Engeland van wie zij door niet meer dan een paar luttele mijlen gescheiden zijn. Het verschil in pigment is altijd weer een reden tot verbazing. De Engelsen in Dover zijn even blond als die in andere delen van het Koninkrijk, uitzonderingen daargelaten. De Fransen in Calais daarentegen zijn net zo gebruind en hebben even donker haar als hun landgenoten In de Provence of een andere hoek van dit uitgestrekte land. Vreemd is ook het contrast tussen de eenvoud van kleding en een beter soort zwijgzaamheid aan de ene zijde van het Kanaal en de opschik, de spraakzaamheid, de hoofsheid aan de andere; de hygiëne van de gemiddelde Brit en het gebrek daaraan bij de Fransen. Helaas, het tempo van mijn reis ligt nu eenmaal te hoog om mij in algemeenheden te vermeien. Mensen zoals ik, die als trekvogels over een koninkrijk vliegen, kunnen zich dat niet veroorloven: ze zien alleen een panorama. Ik zal dan ook uitsluitend melding maken van omstandigheden en feiten waarvan ik persoonlijk en met eigen ogen kennis heb kunnen nemen. In Calais gaf het ceremonieel van de douane reeds een voorproefje van zelfingenomenheid gemengd met gebrek aan houding: de commies troonde achter zijn bureel in een fluwelen costuum met het air en uiterlijk van een heer-van-stand. Na mijn paspoort getekend te hebben, antwoordde hij op de vraag wat ik hem schuldig was: 'Ah, Monsieur! Ce n'est que la politesse', maar toen ik hem vierentwintig sous gaf, het equivalent van een shilling, begonnen zijn ogen te glinsteren en keek hij even vergenoegd als een man in zo'n pak bij ons wanneer men hem een positie aan het hof zou aanbieden, of een heel regiment. Aangezien ik bij de voornaamste herberg geen reisgenoot kon vinden met bestemming Parijs, huurde ik zelf een koets tot Lille en vertrok diezelfde avond nog naar St. Omer, een traject van ongeveer dertig mijl. Bij aankomst bleek de stadspoort gesloten te zijn en ik moest onderdak zoeken in een ellendig huis buiten de wallen waar ik, na mijn zeeziekte en totale verpietering, niets anders te eten kon krijgen dan wat muffe makreel, sla met ranzige olie en een omelet van rotte eieren. Nergens was vlees te krijgen. Kamer en bed van dezelfde aard als het eten. De wijn zuur, het geheel oncomfortabel. Hoe het ook zij, de mensen waren beleefd en ik was besloten mijn humeur te bewaren; dus bleven we vriendelijk voor elkaar. Uit vrees voor wandluizen en vochtig beddegoed durfde ik me niet uit te kleden, want voor zo ver ik had gezien maakte het hele huis een smerige indruk. Men beweert dikwijls dat precieze huisvrouwen zo pinnig zijn—deze was dan ook bijzonder tegemoetkomend. These gaps [in the diary] are accounted for by the weather. It's not weather for drawing up to the fire and settling in. Carrington came to tea with me [and] stayed over two hours; and I think that by itself is a sign of youth. She is odd from her mixture of impulse and self consciousness; so eager to please, conciliatory, restless, and active. I suppose the tug of Lytton's influence deranges her spiritual balance a good deal. She has still an immense admiration for him and us. She looks at a picture as an artist looks at it; she has taken over the Strachey valuation of peopie and art; but she is such a bustling eager creature, so red and solid, and at the same time inquisitive, that one can't help liking her. She posted me up in all the gossip. Lytton complains that the critics haven't attacked his judgments. They have copied each other and complimented him without much fineness. Still his book goes into another edition. I haven't yet read it through. L.[Leonard, Virginia's husband] was told the other day that the raids are carried out by women. Women's bodies were found in the wrecked aeroplanes. They are smaller and lighter, and thus leave more room for bombs. Perhaps it is sentimental, but the thought seems to me to add a particular touch of horror. • David ben Goerion (1886-1973) was een van de stichters van Israël en de eerste premier van dat land. Voor en tijdens de Zesdaagse Oorlog in 1967 hield hij een dagboek bij. — Hostilities began this morning with our air strike in the south. There was also an assault on Khan Yunis and Rafiah [cities in the Gaza Strip]. I’m convinced that this is a grave mistake. We should have told Washington and London that we would initiate hostilities if the Straits of Tiran were not opened. Dayan sent General .... this morning to inform me of events. He needn’t have. — At ten-thirty, Zvi Zur [assistant to the Defense Minister] phoned. 137 Egyptian planes were damaged, 6 or 7 of ours. Moshe will soon address the nation. The Knesset meeting has been canceled. It’s planned to convene at four in the afternoon. — At a quarter to eleven, Moshe addressed the army. Egypt, Jordan, Syria, Iraq, and Kuwait are aligned against us; Algeria is also sending an army. They are many, and we are brave. He did not mention our losses or the Egyptians’, but said that our settlements in the south are under heavy artillery fire. — Four o’clock in the afternoon. I’ve just returned from the basement of the Air Force Headquarters. I spoke with Moshe and Zur and Yigal Yadin [appointed by Eshkol as Special Advisor on Defense Affairs], and afterwards with Motti (Hod) [Commander of the Israeli Air Force] and Ezer Weizman [Deputy Chief-of-Staff]. Victory has been won by our Air Force. We’re in a class of our own. We’ve destroyed 362 Arab planes, mostly Egyptian. We’ve knocked out almost all of the airfields in Egypt and Syria. We’ve taken Khan Yunis and Rafiah. Only the Jordanians are still fighting. Egypt and Syria are defeated. Moshe still forbids publicizing our achievements. It’s possible that we’ll inform American Intelligence this evening. I advised informing French Intelligence too. Our great victory might influence De Gaulle. The Knesset meeting scheduled for four in the afternoon was postponed until six thirty. Moshe will go over for the swearing in ceremony and return immediately. I was advised not to attend. — At the end of the debates, we returned to Tel-Aviv and heard about other events on the front. We’ve lost 17 planes and destroyed around four hundred; we’re advancing in Sinai, and fighting is still going on in Jerusalem. • August Strindberg (1849-1912) was een Zweedse schrijver. Zijn autobiografische boek Inferno bevat ook 'Uittreksel uit mijn dagboek over het jaar 1896'. 4 juni. Ik breng een bezoek aan de Deense schilder in de Rue de la Santé. De grote hond is verdwenen, de ingang is vrij. We gaan eten op een terras aan de Boulevard Port-Royal. Mijn vriend heeft het koud en voelt zich niet erg behaaglijk. Omdat hij zijn jas vergeten heeft leg ik de mijne over zijn schouders. Op hetzelfde moment wordt hij rustig; hij schikt zich naar mij en ik heb de overhand. Hij durft niet meer tegen mij in te gaan en we zijn het volledig over alles eens. Hij geeft toe dat Popoffsky een schurk is en dat ik mijn tegenslagen aan hem te danken heb. Plotseling wordt hij zeer nerveus; hij zit te trillen als een medium dat onder hypnotische invloed staat, schuift onrustig op zijn stoel heen en weer, gooit mijn jas af, kan niet meer eten, legt zijn vork neer, staat op, geeft me mijn jas terug en neemt afscheid. Wat zou dit betekenen? De mantel van Nessus? Had de tegengestelde polariteit van mijn fluïdum, dat zich in de stof van de jas opgezameld had, hem aan mij onderworpen? Ben ik dan misschien een tovenaar geworden zonder het zelf te weten?